A veteran of 36 years in public school music education, Marcia Neel has directed successful secondary music programs in Connecticut, Ohio, Massachusetts, and Nevada. She received her Bachelors Degree in Music Education with a concentration in Choral Music from Miami University in Oxford, Ohio. She received a Master of Arts Degree in History from the University of Nevada Las Vegas specializing in 20th Century Labor History. Marcia served as the Supervisor of the Secondary Music Education Program of the Clark County School District (CCSD), headquartered in Las Vegas, Nevada, from 1994 through 2007. During the course of those years, she led the Secondary Music Education Program to a total class count of over 50,000 in 56 middle and 38 high school music programs and over 100,000 in Secondary Fine and Performing Arts overall. Her greatest pride was in knowing that all of the students in each of the district’s secondary schools were provided with an equal opportunity to study music. In conjunction with the National Association of School Boards, VH1 and NAMM awarded the National Distinguished Service to Music Education Award to the CCSD Board of School Trustees in 2007. The district employs approximately 500 elementary and secondary music educators. Well-known for her commitment to program expansion and innovation, Marcia is recognized as a leader among her peers for her creative approaches to curriculum design and implementation. One of the most successful is the CCSD’s standards-based Mariachi Program which was instituted in 2002 with four (4) instructors teaching 250 students and is now staffed by twenty-eight (28) full-time, licensed mariachi educators teaching over 5,000 students daily. Marcia is the lead author of ¡Simplemente Mariachi!, an instrumental and vocal method series for mariachi students and educators. Over the years, she has become a leader in assessment-driven curriculum for mariachi education and as a result of her Professional Development Summer Mariachi Workshops for music educators, she has been instrumental in starting or further developing over 100 mariachi programs across the nation. Marcia is tireless in her endeavor to bring more students to music-making through hands-on, high quality experiences provided by a sequential curriculum that focuses on achievement. Her greatest joy is to see young people excelling as a result of becoming engaged in these types of life-changing music education programs. The pride displayed by these young musicians and their families is the ultimate reward! Marcia sees mariachi as yet another opportunity for students to find meaningful experiences at school and over the years, many young people have relayed the similar story that they stayed in school solely because of the connections they made – some within their own families – through participation in their mariachi ensemble. Marcia is an ardent advocate for music education at the local, state, and national levels and serves on the Supportmusic.com Steering Committee. She has authored and edited an array of articles and publications for NAfME, the National Association for Music Education, School Band and Orchestra (SBO) Magazine, Strings Magazine, Parent Magazine and Leadership Magazine. Marcia and her husband, Keith, are honored to serve as Music Ambassadors to The Ohio State University School of Music. Marcia serves as Educational Advisor to The Music Achievement Council, a 501(c)(6) non-profit corporation whose main focus is professional development for educators to reach and serve more music students. Her busy schedule has her providing motivating keynotes and workshops all across the country for educators looking to grow their programs and sharpen their pedagogical skills thus helping their students achieve at a higher level. 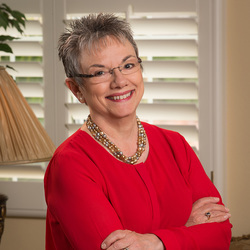 Elected to numerous leadership positions, Marcia has served as Western Division President of MENC; President of the Nevada Music Educators Association (two separate terms); and President of the Nevada Choral Directors Association. She was appointed by two Nevada governors to sit on the Goals 2000 Panel and in that capacity, co-chaired the team responsible for the writing of Nevada's Content Standards in Arts Education. In 1993, The Disney Channel selected Marcia as their National Performing Arts Teacher of the Year and in 2013, she was inducted into the Conn-Selmer Institute’s Hall of Fame. ​Marcia is president of Music Education Consultants, Inc., a consortium of music education professionals working with a variety of educational organizations, arts associations, and school districts to foster the growth and breadth of school-based music education programs for all children. She currently serves as a consultant-on-retainer with numerous school districts across the country and internationally to assist these organizations in the development of a variety of facets of their Music and Arts Education Programs. Among others, specialty areas include curriculum development and expansion, professional development, teacher induction programs, and the providing of conductors and adjudicators for honor ensembles and music festivals. She has taught graduate music courses at Duquesne University, the Hartt School and Villanova University and continues to each at VanderCook College of Music. In April, 2016, Marcia was named Senior Director of Education for the Band and Orchestral division of Yamaha Corporation of America and will serve in this capacity as an independent consultant while continuing her efforts to ensure equity and social justice for music education programs nationwide.